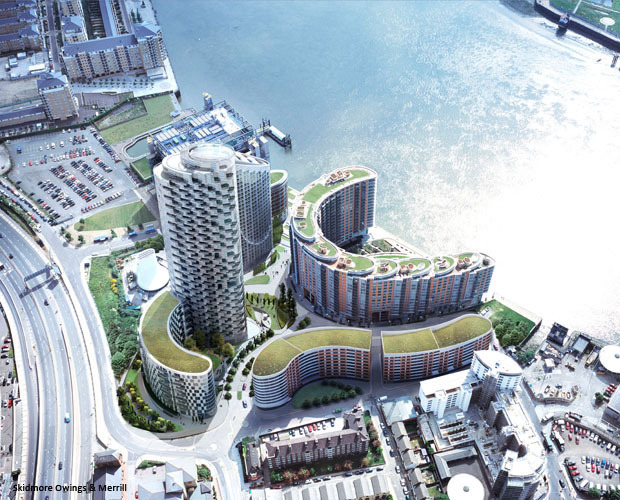 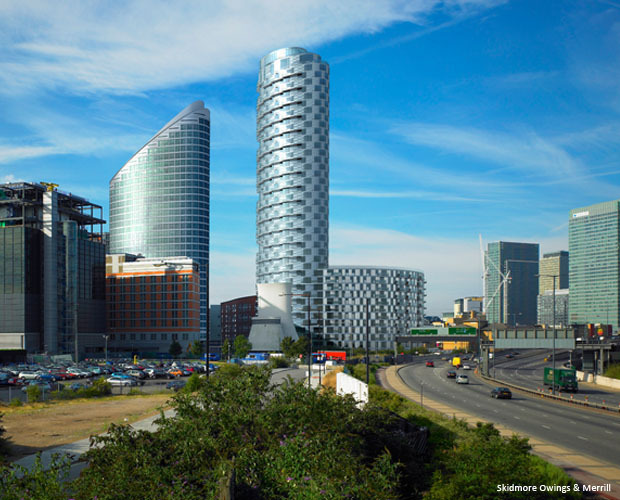 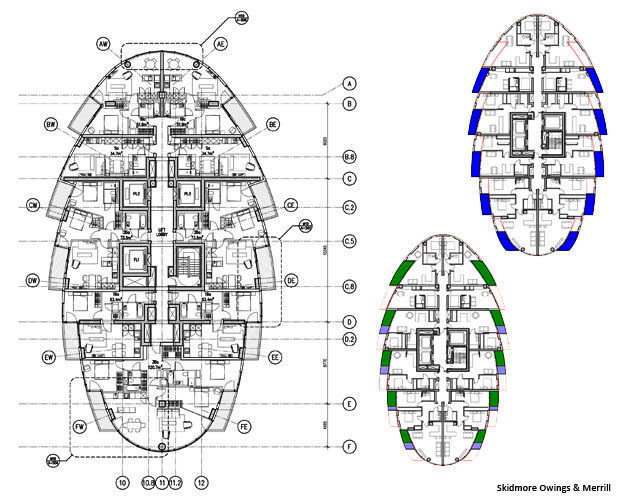 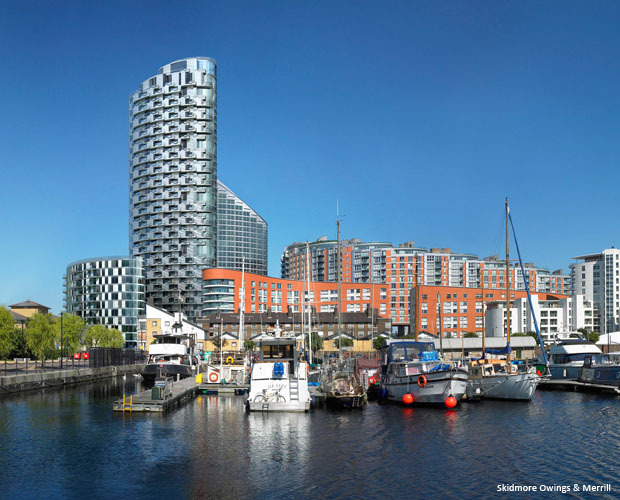 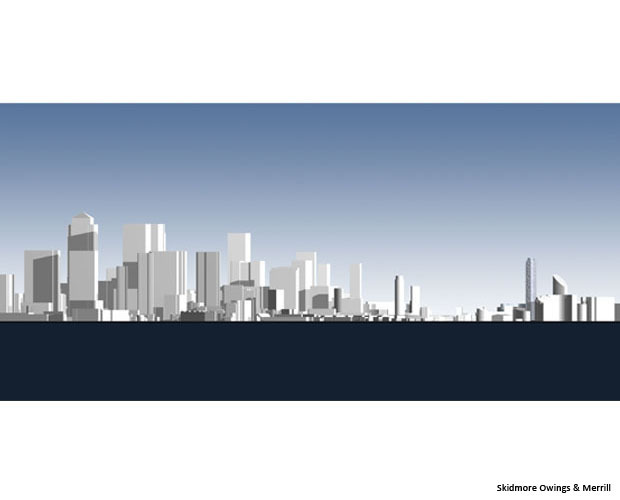 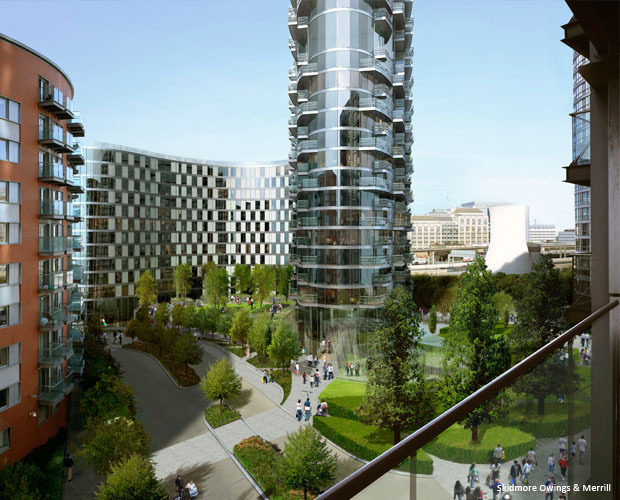 The Providence Tower development comprises a 44 storey private residential tower and 12 storey Affordable Housing curved bar building which completes the New Providence Wharf masterplan commenced in 1999. 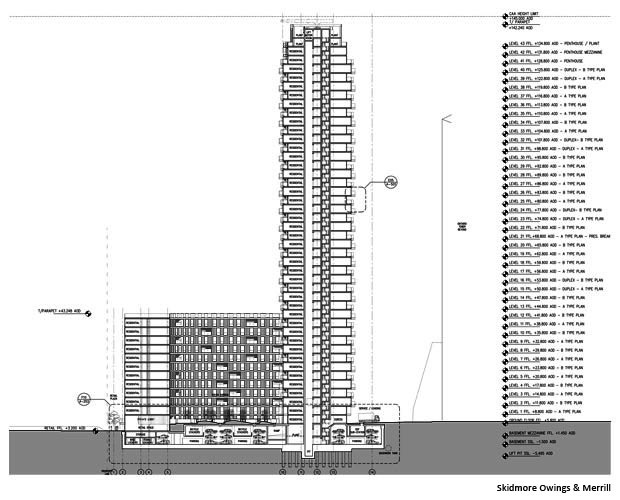 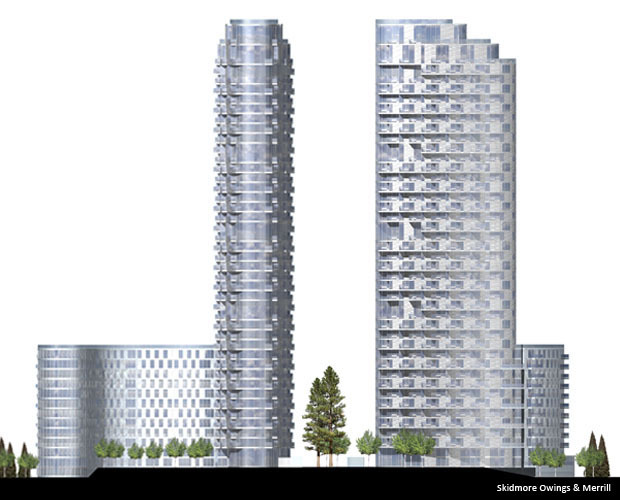 Responding to the existing buildings on the Estate, the tower forms a new pinnacle paired with Ontario Tower, and the curved bar building relates to the other low-rise buildings to define the Estate Boundary. 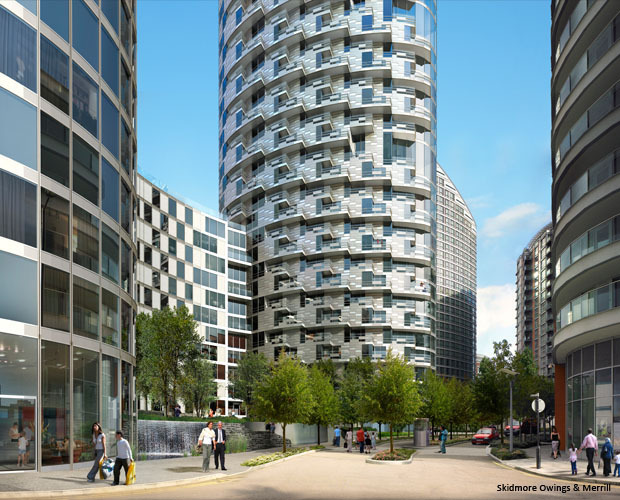 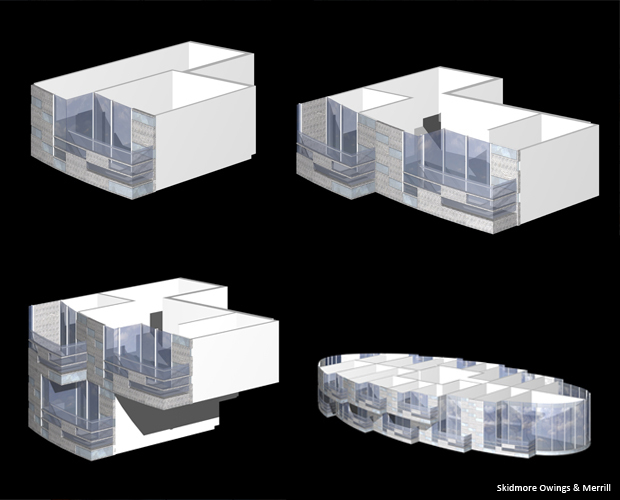 The exterior wall is peeled away from a conventional elliptical form to maximise views towards the River for each tower apartment. 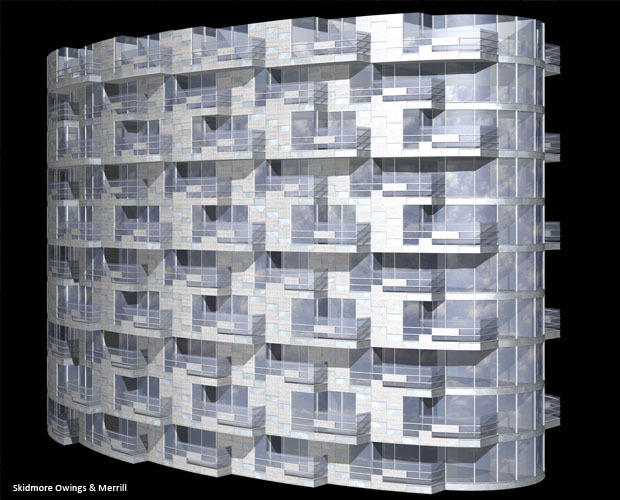 Balconies are captured at the open edge of each “peel” offering private amenity space and sun-shading to the apartment below. 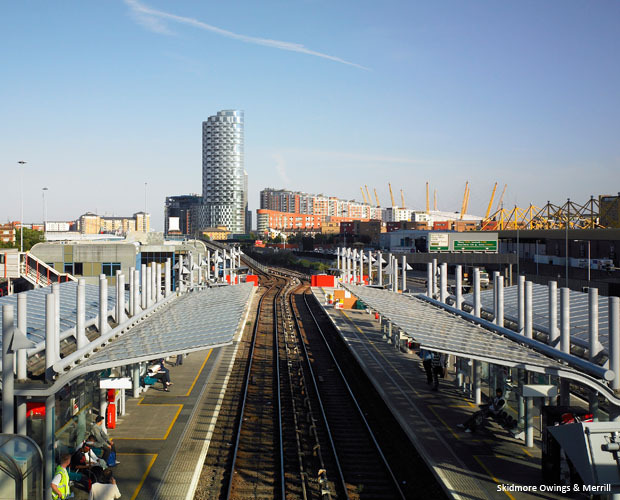 A unique A-B reading utilises two distinct floor plate types to assemble the building. 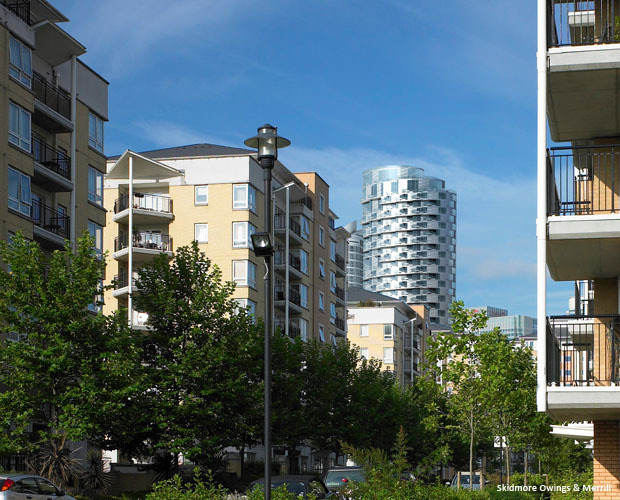 The creation of a system to accommodate alternative apartment stacks provides flexibility in terms of apartment mix, allowing the client to respond to planning requirements and market trends. 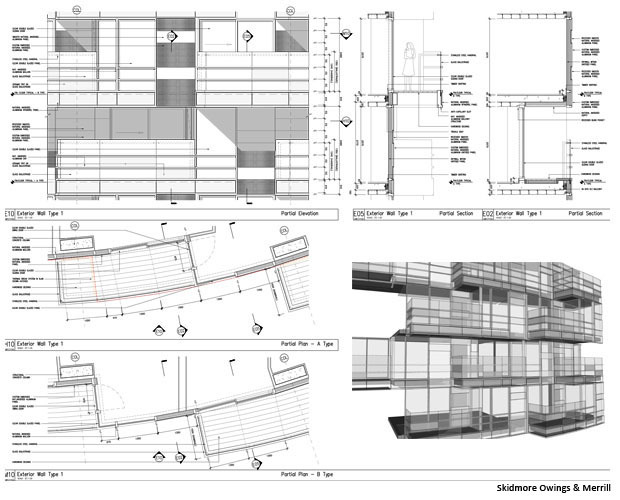 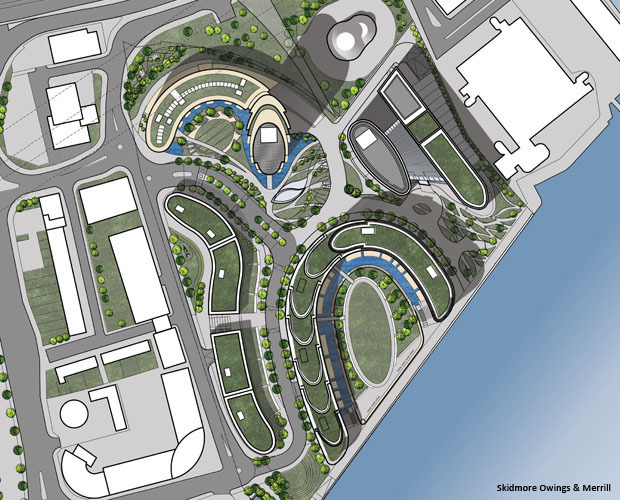 The integrated sustainability strategy includes a biomass boiler with CHP, solar panels providing hot water for the Affordable Housing units, a sedam roof providing habitat for native birds and bees, extensive landscaped gardens, natural ventilation and natural sun-shading provided by the unique massing strategy adopted for the tower.